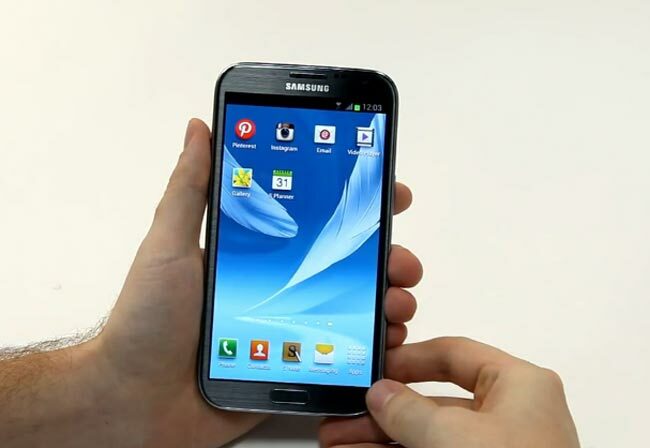 Samsung’s Galaxy Note II is expected to go on sale in Europe and Asia next month, and now the device has appeared at the FCC, although according to the guys at Engadget this is the international version of the handset that has turned up at the FCC. This means that their should be another version of the Samsung Galaxy Note II with LTE appearing at the FCC shortly, we still do not have an exact release date for the Samsung Galaxy Note II in the US. As a reminder the Samsung Galaxy Note II features a 5.5 inch HD Super AMOLED touchscreen display with a resolution of 1280 x 720 pixels, there is also a quad core 1.6GHz processor and it will come with Android 4.1 Jelly Bean. As soon as we get some more information on when the Samsung Galaxy Note II will be available in the US we will let you guys know.